Obituary for Joseph M. Heidcamp | Seamon-Wilsey Funeral Home, Inc.
SAUGERTIES…Joseph M. Heidcamp, 75, of Jane Street died Wednesday June 20, 2018 at his residence after a brief illness. Born February 27, 1943 in Kingston he was the son of the late Joseph and Reginia Heidcamp. 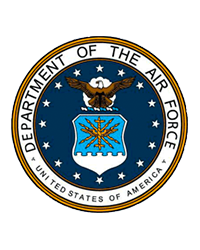 Joe graduated from Saugerties High School and entered the U. S. Air Force in January of 1961, serving as a microcircuitry draftsman during the Vietnam era until January of 1965. He was stationed in Germany and the Aleutian Islands for a while. He worked as an independent draftsman for IBM, in Connecticut, and in Poughkeepsie for many years, utilizing skills he learned and enjoyed in crafts and model-making in his youth. He also worked in a local factory and for several years as a school bus driver at Lezette Express. Joe was a great fan of popular music, particularly Harry Belafonte, and spent long hours with albums at his grandparents Milt and Kate Wright on Jane Street. He and his brother George formed a band and played weddings and in numerous other local venues. He was predeceased by his mother, Regina “Chippie” (Wright) Sullivan. He is survived by three brothers: William Heidcamp, 74, of St. Peter, Minnesota; George Heidcamp, 72, of Saugerties, and Sean Sullivan, 59, of Niskayuna.